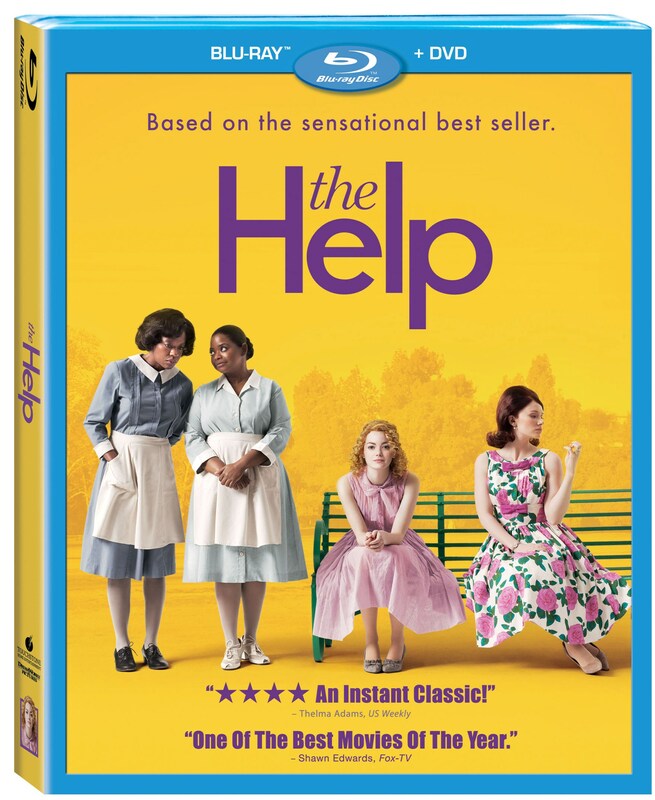 To celebrate the release of THE HELP on Blu-ray and DVD December 6, 2011 here are a few DVD Clips. “Dimitri” from “The Help – From Friendship to Film” Bonus Feature Author Kathryn Stockett fondly recalls memories of the maid who worked for her family for 32 years. “Creating Minny” from “The Help – From Friendship to Film” Bonus Feature Author Kathryn Stockett describes how she based the character of Minny on Octavia Spencer. “Casting Octavia” from “The Help – From Friendship to Film” Bonus Feature Director Tate Taylor and Kathryn Stockett discuss casting Octavia Spencer as Minny. “Celia’s House Tour” Minnie (Octavia Spencer) and Celia (Jessica Chastain) discuss the terms of Minnie’s employment. The Help, the inspirational summer hit film people can’t stop talking about, arrives in homes just in time for the holidays, delivering this powerful story on Blu-ray™ Combo Pack, DVD, Digital Download and On-Demand, December 6, 2011. Here is a new featurette from Dreamworks upcoming film THE HELP, opening in theaters everywhere on August 12th. THE HELP is directed by Tate Taylor and stars Viola Davis, Bryce Dallas Howard, Octavia Spencer, Emma Stone. DreamWorks Pictures and Geffen Records announced today that multiple Grammy® Award–winning recording artist Mary J. Blige wrote and recorded an original song for the soundtrack of DreamWorks Pictures and Participant Media’s THE HELP, a film based on the New York Times best-selling novel of the same name, opening in theaters August 12, 2011. “The Help” soundtrack – music from the Motion picture, will feature the original song from Mary J Blige “The Living Proof.” The soundtrack, from Interscope Records, will be available Tuesday, July 26 at select Starbucks locations. Blige has received 9 Grammy® Awards and four American Music Awards as well as recorded eight multi-platinum albums. Mary J. Blige has sold over 50 million albums worldwide and her next album “My Life Too….The Journey Continues” will be released Sept 20, 2011. Here is the one-sheet for Dreamworks upcoming film THE HELP, opening in theaters everywhere on August 12th. 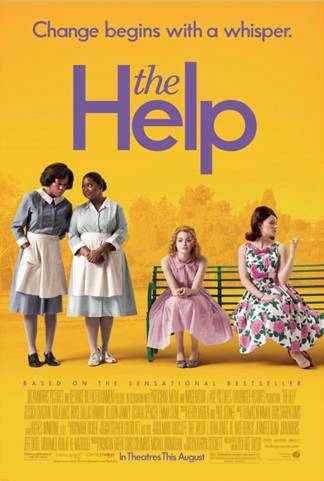 THE HELP is directed by Tate Taylor and stars Viola Davis, Bryce Dallas Howard, Octavia Spencer, Emma Stone. Based on one of the most talked about books in years and a #1 New York Times best-selling phenomenon, “The Help” is a provocative and inspiring look at what happens when a southern town’s unspoken code of rules and behavior is shattered by three courageous women who strike up an unlikely friendship. Here is the trailer for Dreamworks upcoming film THE HELP, opening in theaters everywhere on August 12th. THE HELP is directed by Tate Taylor and stars Viola Davis, Bryce Dallas Howard, Octavia Spencer, Emma Stone. Three are dead. He is Number Four. D.J. Caruso (“Eagle Eye,” “Disturbia”) helms a suspense-thriller about an extraordinary young man, John Smith (Alex Pettyfer), who is a fugitive on the run from ruthless enemies sent to destroy him. Changing his identity, moving from town to town with his guardian Henri (Timothy Olyphant), John is always the new kid with no ties to his past. In the small Ohio town he now calls home, John encounters unexpected, life-changing events—his fi rst love (Dianna Agron), powerful new abilities and a connection to the others who share his incredible destiny. Set in Mississippi during the 1960s, “The Help” stars Emma Stone (star of the breakout hit, “Zombieland”) as Skeeter, a southern society girl who returns from college determined to become a writer, but turns her friends’ lives—and a small Mississippi town—upside down when she decides to interview the black women who have spent their lives taking care of prominent southern families. Academy Award® nominee Viola Davis (“Eat Pray Love”) stars as Aibileen, Skeeter’s best friend’s housekeeper, who is the fi rst to open up—to the dismay of her friends in the tight-knit black community. Despite Skeeter’s life-long friendships hanging in the balance, she and Aibileen continue their collaboration and soon more women come forward to tell their stories—and as it turns out, they have a lot to say. Along the way, unlikely friendships are forged and a new sisterhood emerges, but not before everyone in town has a thing or two to say themselves when they become unwittingly—and unwillingly—caught up in the changing times. Senior Charlie Brewster (Anton Yelchin) fi nally has it all going on: he’s running with the popular crowd and dating the most coveted girl in his high school. In fact, he’s so cool he’s even dissing his best friend. But trouble arrives when Jerry (Colin Farrell) moves in next door. He seems like a great guy at fi rst, but there’s something not quite right—but everyone, including Charlie’s mom (Toni Collette), doesn’t notice. After observing some very strange activity, Charlie comes to an unmistakable conclusion: Jerry is a vampire preying on the neighborhood. Unable to convince anyone, Charlie has to find a way to get rid of the monster himself in this Craig Gillespie-helmed revamp of the comedy-horror classic. A gritty, white-knuckle, action ride set in the near-future where the sport of boxing has gone high-tech, “Real Steel” stars Hugh Jackman as Charlie Kenton, a washed-up fi ghter who lost his chance at a title when 2000-pound, 8-foot-tall steel robots took over the ring. Now nothing but a smalltime promoter, Charlie earns just enough money piecing together low-end bots from scrap metal to get from one underground boxing venue to the next. When Charlie hits rock bottom, he reluctantly teams up with his estranged son Max (Dakota Goyo) to build and train a championship contender. As the stakes in the brutal, no-holds-barred arena are raised, Charlie and Max, against all odds, get one last shot at a comeback. From director Steven Spielberg comes “War Horse,” an epic adventure for audiences of all ages. Set against a sweeping canvas of rural England and Europe during the First World War, “War Horse” begins with the remarkable friendship between a horse named Joey and a young man called Albert, who tames and trains him. When they are forcefully parted, the fi lm follows the extraordinary journey of the horse as he moves through the war, changing and inspiring the lives of all those he meets—British cavalry, German soldiers, and a French farmer and his granddaughter—before the story reaches its emotional climax in the heart of No Man’s Land. The First World War is experienced through the journey of this horse—an odyssey of joy and sorrow, passionate friendship and high adventure. “War Horse” is one of the great stories of friendship and war—a successful book, it was turned into a hugely successful international theatrical hit that is arriving on Broadway next year. It now comes to screen in an epic adaptation by one of the great directors in film history. 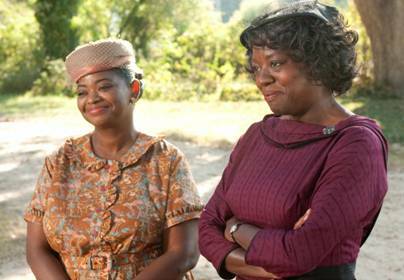 Here are photos from DreamWorks Studios’ THE HELP. The drama is directed by Tate Taylor, starring Viola Davis, Bryce Dallas Howard, Octavia Spencer, Emma Stone. Set in Mississippi during the 1960s, “The Help” stars Emma Stone (star of the breakout hit, “Zombieland”) as Skeeter, a southern society girl who returns from college determined to become a writer, but turns her friends’ lives—and a small Mississippi town—upside down when she decides to interview the black women who have spent their lives taking care of prominent southern families. Academy Award® nominee Viola Davis (“Eat Pray Love”) stars as Aibileen, Skeeter’s best friend’s housekeeper, who is the first to open up—to the dismay of her friends in the tight-knit black community. Despite Skeeter’s life-long friendships hanging in the balance, she and Aibileen continue their collaboration and soon more women come forward to tell their stories—and as it turns out, they have a lot to say. Along the way, unlikely friendships are forged and a new sisterhood emerges, but not before everyone in town has a thing or two to say themselves when they become unwittingly—and unwillingly—caught up in the changing times.